As you might know, I did an aggressive closet purge and reorganization, but for some reason I could not bear to part with this striped dress. Even though I've had it for a year and NEVER. WORN. IT. I just loved the print and material so much, even if the overall style was too preppy for me. And so... I decided to turn it into a crop top. I'm not sure where the idea came from (too much time on Pinterest) But I was about to sell it and I thought NO, it's mine and I left it in the car. 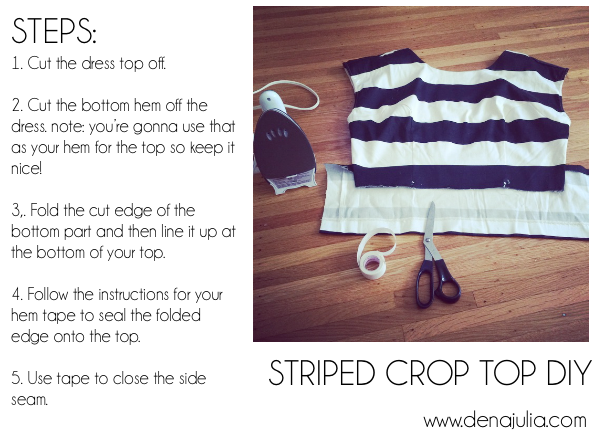 Then I looked up striped crop top on pinterest and I saw this pin and I thought, OK. I can do this. So I whipped out my scissors, mini iron and hem tape. And voila! 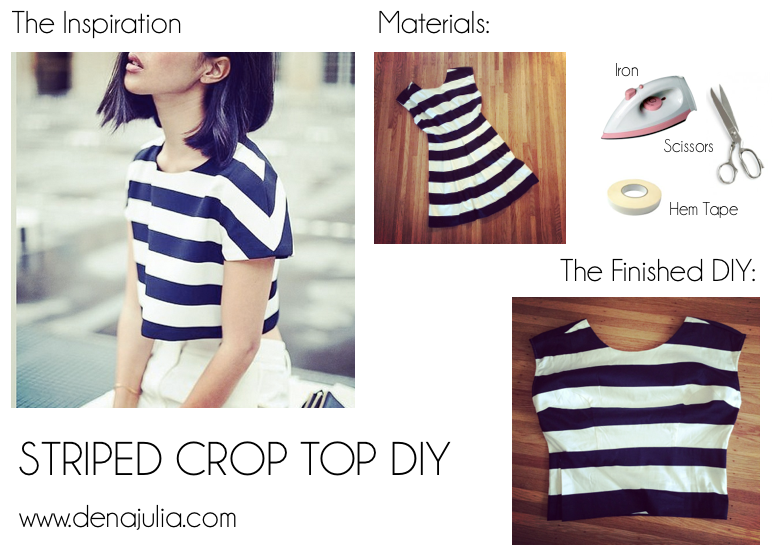 A super rad, custom fit crop top! Instructions below!